Spring Service Special: Get free pick up and delivery with a tune up! Click here for details. Welcome to D&H Sales & Service! D&H Sales & Service is a full service shop that has been under the ownership of Brad Dahmer since April 2003. We pride ourselves on quality work, friendly service, and convenience. We carry a full line of lawn mowers, tractors, zero-turns, snow blowers, leaf blowers, string trimmers, and chainsaws. We are an authorized parts, accessory and factory warranty service dealer for Ariens, Gravely, Toro, Simplicity, Snapper, Ferris, Toro LCE, and Stihl. Poulan, Poulan Pro, MTD, MTD Pro, White, AYP, EHP, Murray, Brute Power Products, Mantis, Earthquake, and Dolmar. 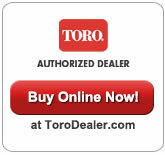 We are an authorized service center for Briggs & Stratton, Kohler, Tecumseh, Kawasaki, Subaru, and Honda engines. All of our mechanics are factory certified technicians for everything that we service. We are the only Diamond Dealer in Sheboygan county and we have a master certified Technician for Briggs and Stratton. We recently updated our rental flyer. Please go to our Rental Page to check out our prices. Call us today @ (920) 458-1865 or email us at dhrental45@yahoo.com, check us out on Facebook.